PHOTOMOD UAS stand-alone full photogrammetric UAS-oriented software allows the user to process UAS data and acquire all types of value added photogrammetric products: DEM, 2D and 3D-vectors, orthomosaics. 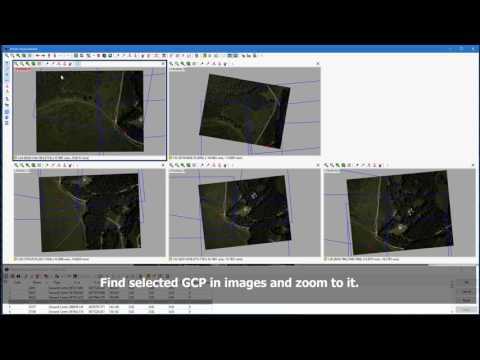 The main techniques of UAS data processing in the PHOTOMOD system are rigorous photogrammetric processing of images with accuracy comparable with ground sample distance (GSD), and simplified method with absolute accuracies of about tens of meters. Functionality, high performance, simplified user-friendly interface and automation of photogrammetric operations are key benefits, allowing the user to consider PHOTOMOD UAS as the optimal solution for UAS data processing. The system allows the user to improve processing performance due to distributed processing approach, and uses most effectively the computational capabilities available. Block layout creation, cutlines building, tie points search and measurement, as well as DEM building and filtering are available in the system in fully automatic mode. Ask for a quote Contact Racurs to receive a quotation. Fill in the form below to send out a contact request to Racurs.